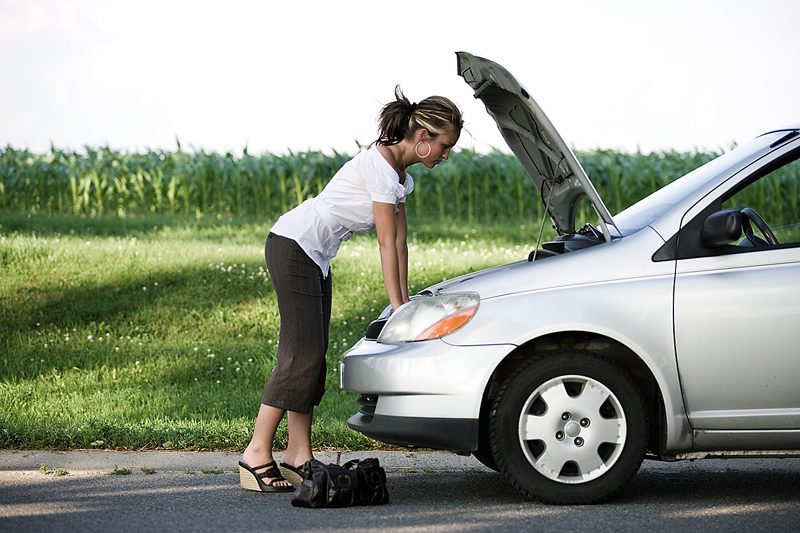 An old car is more likely to break down, especially if it receives little maintenance. If this unfortunate event happens in the middle of driving, the first thing to do is not to panic. It helps to stay calm and clear the mind for making sound decisions on the next steps. When a tire blows out, or the engine fails and loses its power steering and power brakes, immediately turn on the hazard lights and move the car to the side for safety. Once safely parked, take additional precautions by laying an early warning device or roadside flares at about 50 feet behind the car. If the car cannot be driven off the road, as is the case with a dead battery or empty gas tank, turn on the hazard lights and do not get out of the car in the middle of a busy highway. Stay in the car until help arrives. If the engine is overheating, stop the vehicle (on the roadside). Turn off the air-conditioner and switch on the heater. Wait for the engine to cool down before popping the hood and opening the radiator cap because it would blow off scalding hot steam. After 45 minutes, you can add coolant or water to the engine. 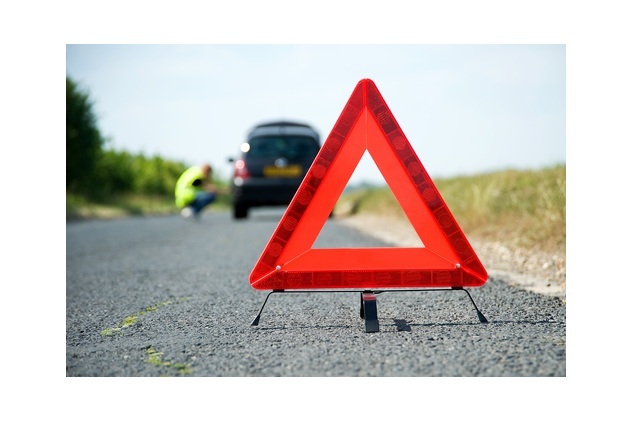 In all cases of a car breakdown, call for help, such as a roadside service or highway patrol. Omega Auto Care reviews the needs of its clients to know the most suitable auto repair coverage plan. For more information, visit this website.